It’s summer, and you’re probably thinking more about snow cones than snow days. 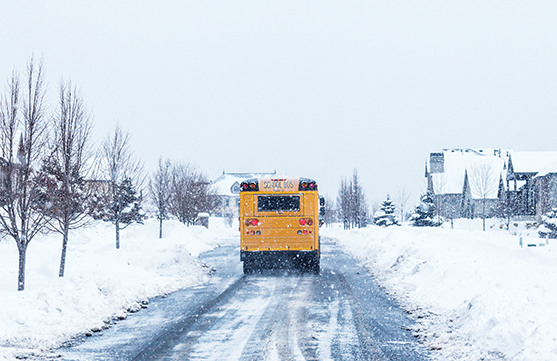 But this is the time to review your district policies on snow days -- and any inclement weather closings. The National School Boards Association signed onto a letter penned by the National Coalition for Public Education (NCPE), to all members of the senate, expressing strong opposition to any amendments to the Fiscal 2016 Senate Budget Resolution (S. Con Res. 11) that would support the creation of a private school voucher or tuition tax credit program. The comprehensive NSBA media guide detailing all advertising, exposition, sponsorship and corporate partnership opportunities.